Christianity is a religion centered on Easter, that annual remembrance of the defeat of sin, death, and the devil. Every year, Easter comes and Easter goes. Each year we should be entering into the sacred mysteries ever more deeply. 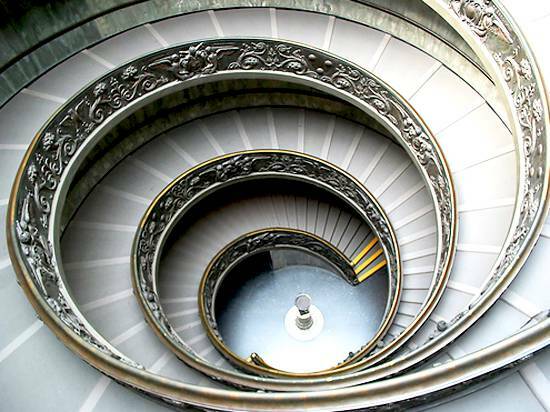 Try to imagine your life like the accent of a spiral staircase or coil. As we come around to the point of Easter again, hopefully we are higher, closer to heaven. The historical origins of the holy season of Lent derive from the early Church practice of preparing for the celebration of Easter. The English word Lent has the meaning of springtime. The traditional Lenten practices of prayer, fasting, and almsgiving help us to be spiritually prepared to enter into the mystery of Easter more deeply. It is the mystery of Jesus Christ rising to new life. Let us pray for a spiritual springtime of new life in the world today, a world that needs it like never before.